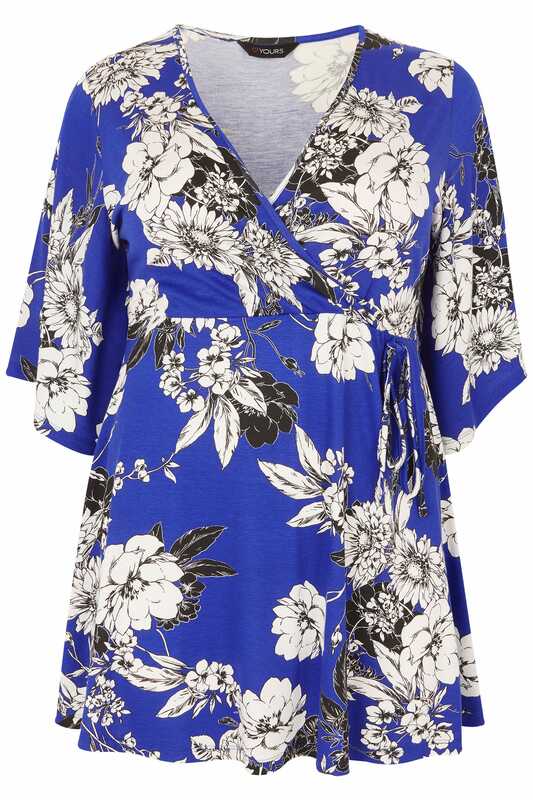 Add a dose of colour to your desk-to-dinner line-up with this top. In a wrap over style with a tie fastening, it is made from a comfortable jersey fabric and features a v-neckline and 3/4 length sleeves. For a smart-casual look, style with tapered trousers and a pair of high sandals. 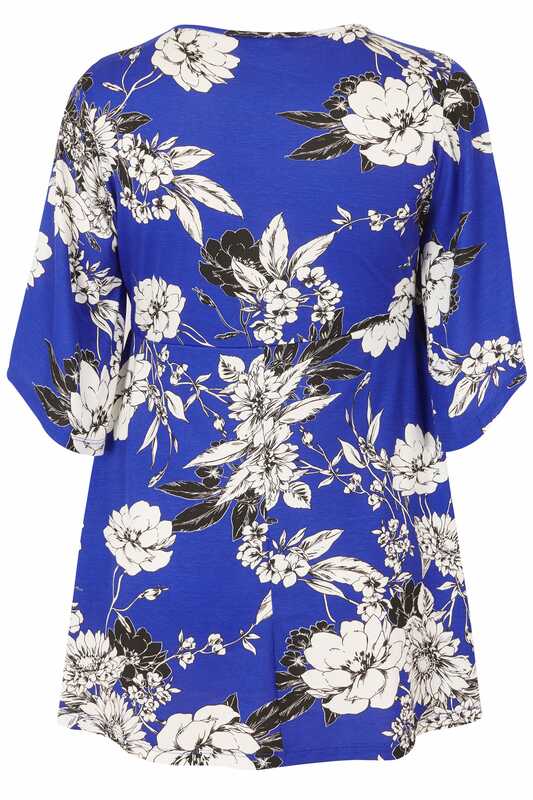 On-trend this season, we are loving the bold cobalt blue and contrasting floral print.